Need a hose on the air ducts ? The air distribution ducts or ductwork or pipes or vent tube are conduits for circulating air from point A to point B. A ventilation duct allows the circulation of air and the evacuation outwardly. Discover the benefits of flexible ventilation ducts or semi rigid with Culture Indoor leader of the ventilation duct in France and Europe factory direct manufacturer. Ventilations ducts are essential for the installation of extractor s or air vents for the bathrooms, the VMC from home or office, air conditioning ducts specific, usually conducted in cotton wool is used. Discover the different ducts or conduits of breakdowns and their technical characteristics. The cylindrical ventilation ducts are called ventilation ducts. Flexible ventilation ducts are lighter and more economical. Flexible ducts are easy and quick to install. Flexible ducts are perfectly suited to changes of direction in plan and elevation, perfect to create turns or make waves to pass above, to pass the obstacles in the false ceilings easily and easily. Sealing flexible ventilation is very good, especially if the connections between pipes is made with seal, use eg raccordemen cuffs t to obtain a perfect seal between the connections of pipes or ducts. Conduit sealant round flexible. Discover our different models of aluminum scotch allowing a perfect sealing of the ventilation ducts at a lower cost. 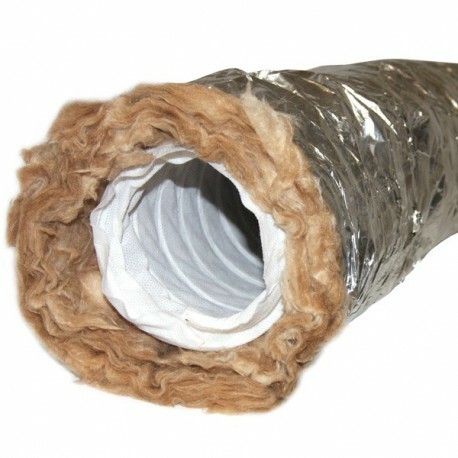 The insulation of the duct is directly integrated. Flexible ducts are not recommended because they cause significant pressure drops compared to rigid ducts but more often used by their simplicity of installation and their reduced cost. They are useful for difficult fittings at the mouths or other devices. The vibrations and noise from the air movement are more easily absorbed making it interesting conduits for achieving higher acoustic performance. Flexible ducts cause greater pressure drops than a rigid or semi-rigid duct. Due to the material used, this type of conduit is generally fragile, which does not facilitate its cleaning. If the inside of the duct is not smooth, the fouling will be more important. In the case of ventilation in a cupboard, for example, it is useful to isolate the ventilation ducts between the ventilation unit and the outside, whether the ventilation duct is located inside or outside Of the protected volume. This to limit heat losses, and thus ensure maximum recovery, and the risk of condensation that will prevent you from micro droplets all over the inside, condensation must be controlled. To limit heat losses when the ventilation duct of hot air or cold air, there are ventilation ducts or ventilation ducts that are thermally insulated like the sound duct. In the case of thermal ventilation ducts joints shall close by means of tape adhesive . The ducts are generally composed of mineral wool boards, rock wool, discover Winflex Ventilation and its thermal jacket with natural wool is itch , finished wool scratching you during and after your installation in ceilings or For example. Ventilation duct with sound insulation. A ventilation system is a source of noise with sometimes significant noise. The acoustic nuisance is mainly due to the operation of the fan and the air movement in the ducts, so what you hear is the wind in the ventilation duct directly and it is the noisiest. Acoustically isolating ducts reduces noise radiation in rooms. Use anti vibration supports for ventilation unit limits the propagation of structural noise discover this to soundproof boxes SOFTBOX including an extractor suspended on rubber springs allowing a perfect isolation of engine vibration of the air extractor. Small footprint of the packaged product. Fire resistance rating M0 or M1 according to model. Maximum air speed: 30 m / sec. Standard length: 3m / 10m. Ease of implementation. Sound and heat insulation attenuation in the c onduit and ventilation system. Reduced condensation and heat loss in low-, medium- and high-pressure ventilation and air-conditioning systems. 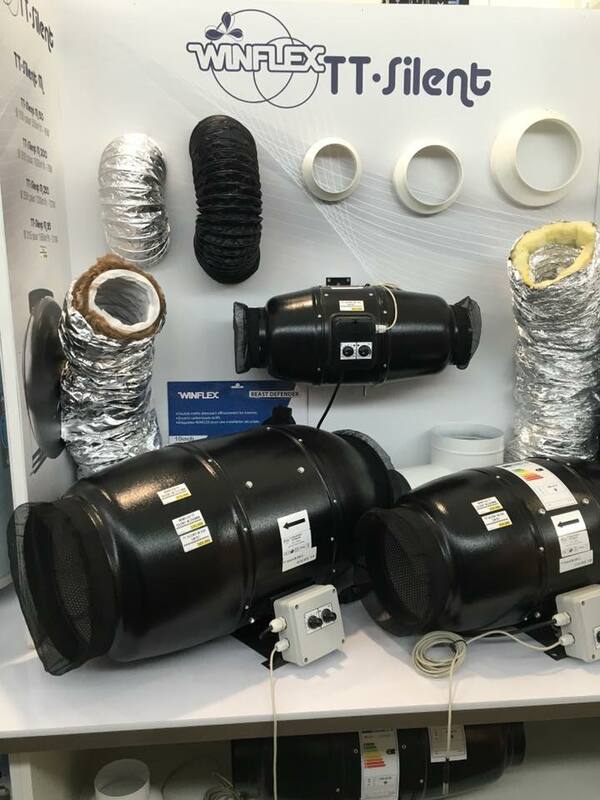 Small footprint of the packaged product The flexible insulated flexible duct B M0 / M1 is used for the connection of the vents to the main network for installations of ventilation systems, VMC and distribution of hot air. It contributes to acoustic attenuation within the network. Small dimensions of the product when the sheaths are packed in cardboard conveniently compressed to transport them, they are sold in 3m or cardboard of 10m long. Fire classification: M0 / M1. Minimum radius of curvature: 0.54 x Ø + thickness of glass wool. 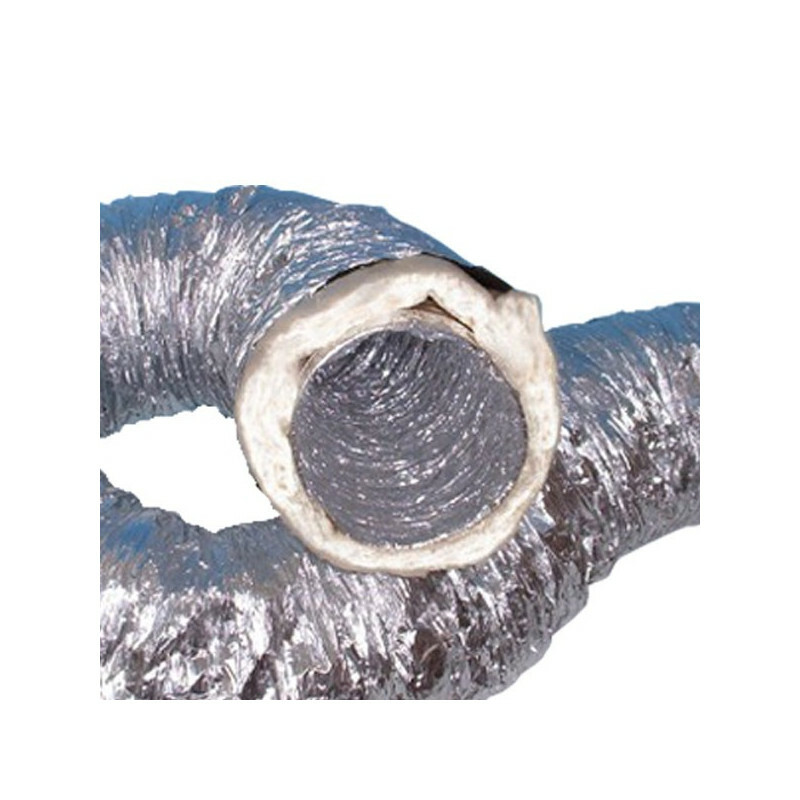 The sound insulated flexible duct B M0 / M1 consists of an inner wall made of an M0 micro-perforated micro-micro complex, a 25 mm thick M0 glass wool insulation and an aluminum complex vapor barrier External M1 thickness 45 microns. It is delivered in length of 10 meters compacted in an individual cardboard. 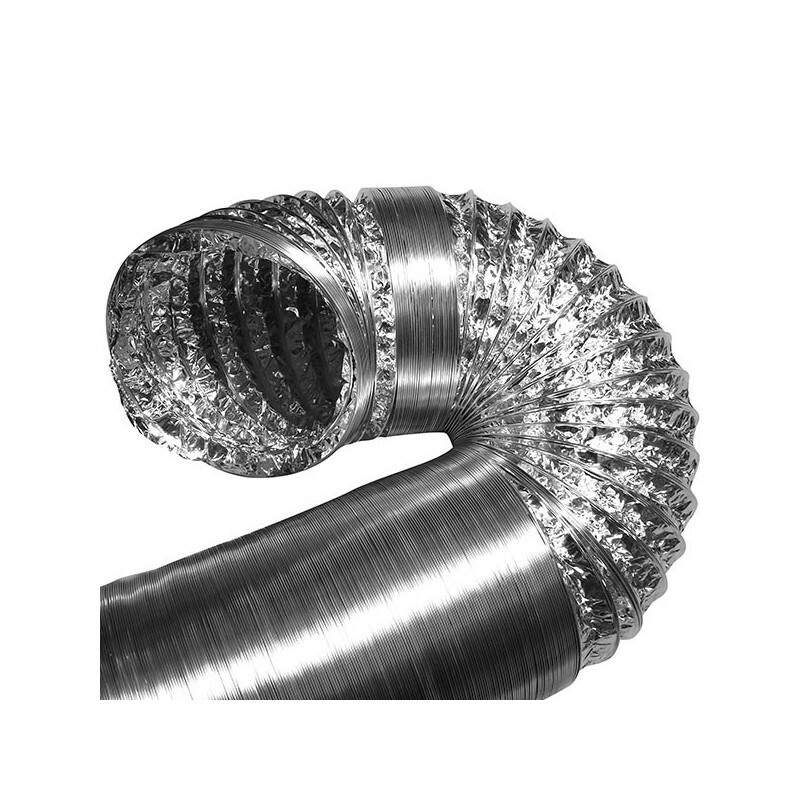 Flexible insulated flexible duct B M0 / M1 is used for the connection of the vents to the main network in ventilation system installations, VMC and for the assembly of two lengths, use a male-to-galvanic or aluminum Or PVC. Put a few centimeters back on the glass wool and then seal it with an aluminum adhesive strip complemented by a clamp or a stainless steel notched band. The waterproofing must be carried out with the vapor barrier. M1 certified aluminum ducts for construction, double layer M0 ducts, M1 / ​​M0 soundproof ducts or thermal sheath for better insulation of your ventilation ducts.